Start off your visit on the 16th (Mon): kick back and relax at Grand Anse, enjoy the sand and surf at Anse Source D'Argent, and then kick back and relax at Anse La Reunion Beach. For reviews, photos, and other tourist information, refer to the La Digue Island online tour builder . If you are flying in from United States, the closest major airport is Seychelles International Airport. 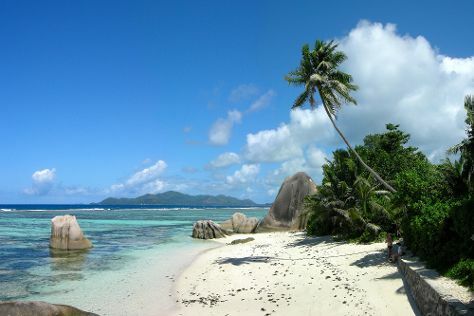 In September in La Digue Island, expect temperatures between 85°F during the day and 77°F at night. Finish up your sightseeing early on the 16th (Mon) so you can travel back home.